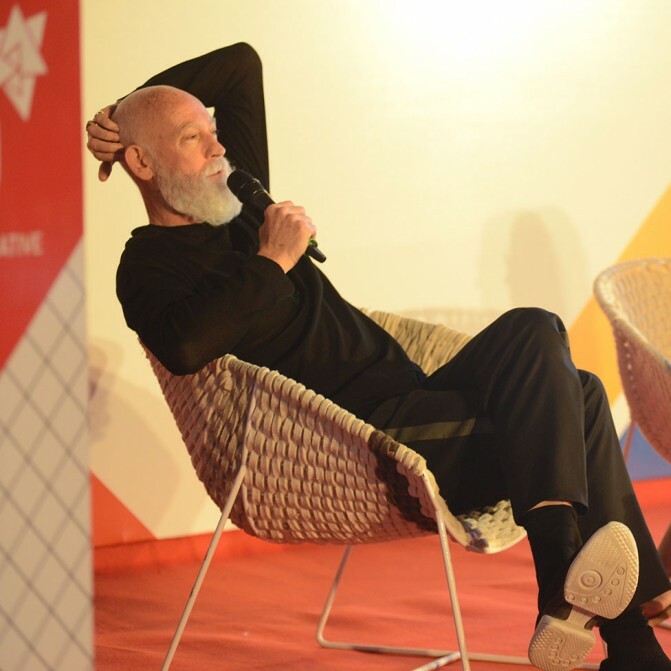 The legendary designer and architect, who is known for the construction of the Design Museum Holon and the creation of eccentric pieces (including an uneven ping pong table and a sprung steel wheel bike), was asked about his earliest memory in design. After graduating from the Architectural Association School of Architecture in London, he revealed, “It didn’t take very long for me to realise I’m not cut out to work for somebody else. Especially after lunch.” Soon after quitting his job one day (after lunch), a chance discovery of a car scrapyard led him to an abandoned leather seat. Soon after, he created his very first design: the Rover Chair. 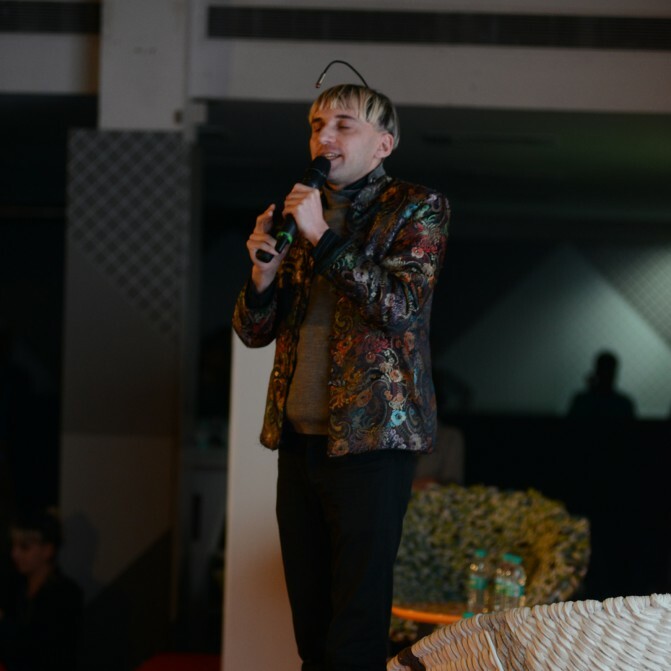 ” I went to a doctor and I said ‘I’d like an antenna implanted in my head’ and he said, ‘Sorry, we don’t do this here,” Neil Harbisson’s first attempt to surgically become a cyborg was rejected. Being born colour blind, Neil had designed an antenna that would allow him to listen to colour of high frequencies. His second attempt changed his life, when an anonymous doctor drilled the antenna in his skull. 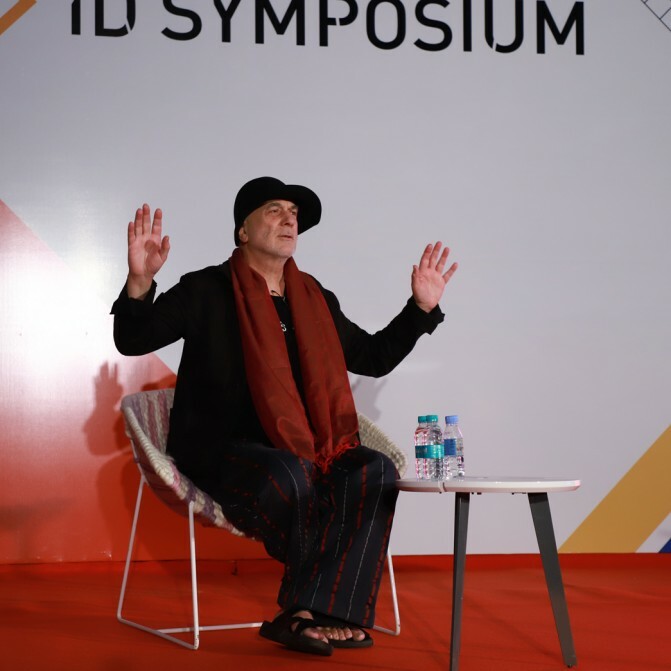 The ID Symposium audience sat captivated as Neil weaved melodies out of ordinary objects: “I really enjoy composing music with my food, especially with salads. There’s a lot of colour in salads”. 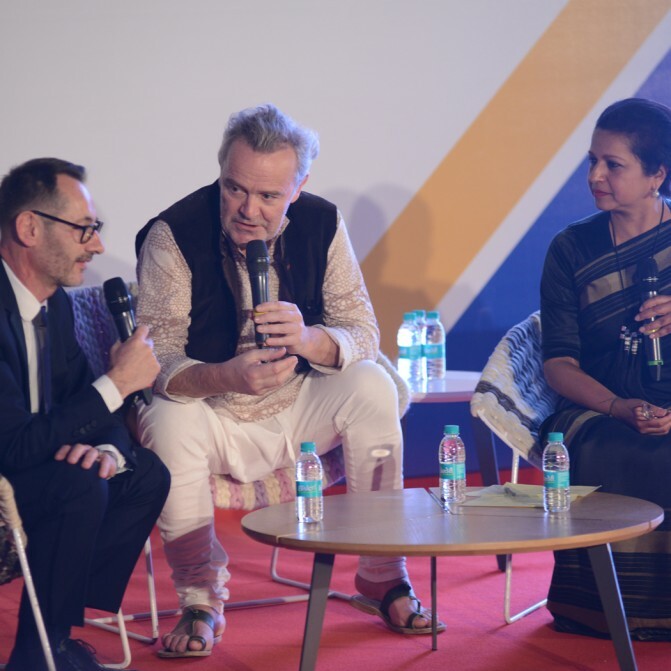 “If there is one place in the world where I really enjoy food, it is India,” Chef Alain Passard said, in conversation with Priya Paul, the Chairperson of Apeejay Surrendra Park Hotels. 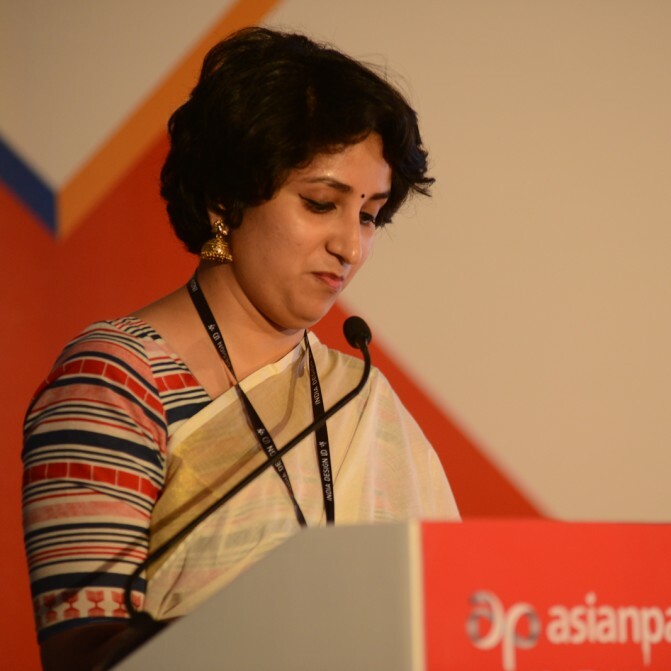 The discussion on ‘Food as Art’ went on to describe various aspects of produce and plating, a passion of the Chef himself, who’s three Michelin starred restaurant L’Arpège has continued to celebrate the art of plating, with a focus on vegetables. 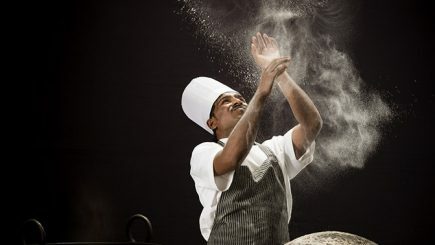 However, we think Alain was smitten by butter naans and biryanis, as he mentioned that he would “pass on the message” to the Michelin guide that they needed to take notice of Indian cuisine. 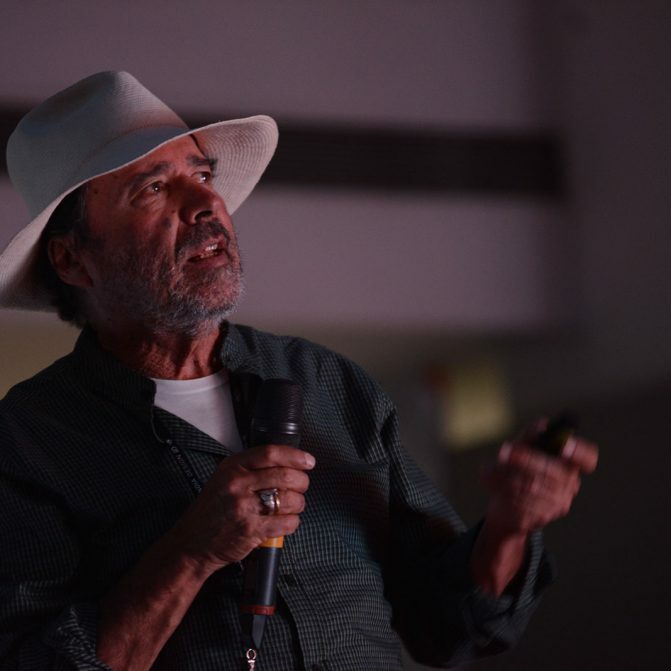 Complete with hoots and ‘kaboom’ sound effects courtesy Javier Mariscal, the second Big Bang took place in the dark ID Symposium hall while he described the inception of colour. The iconic artist and designer presented his illustrated film about the history of colour, with props, singing and a lot of dancing. 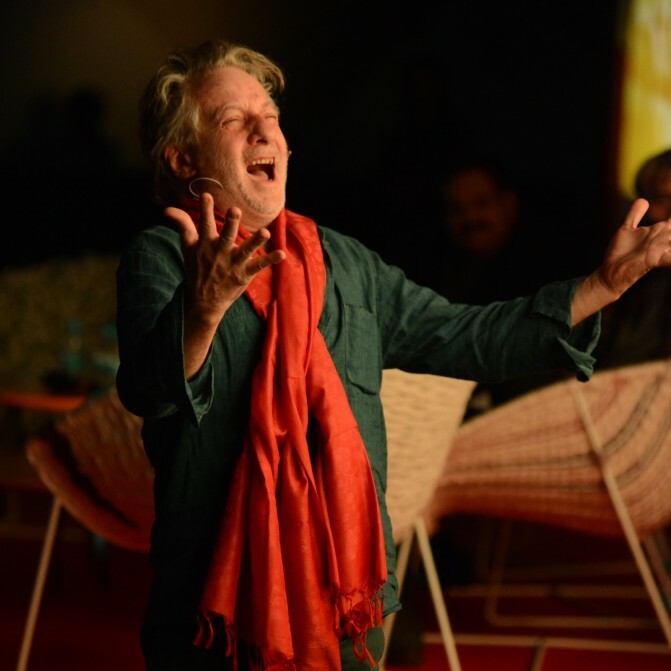 With dedicated numbers to every primary colour, the audience witnessed his silly energy let loose on stage. 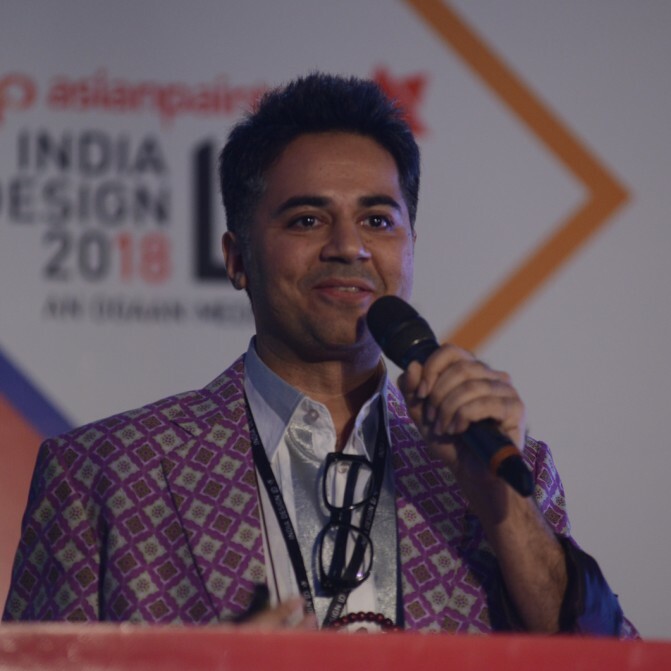 Godrej India Culture Lab’s Parmesh Shahani gave us a session on ‘Living with Colour’ in a sharp purple suit, a green bag and bedazzling shoes to match. With a focus on gender fluidity and sexuality, Parmesh’s presentation featured photographs from LGBT protests, dialogues on masculine roles while being peppered with photos of his own colourful ensembles. 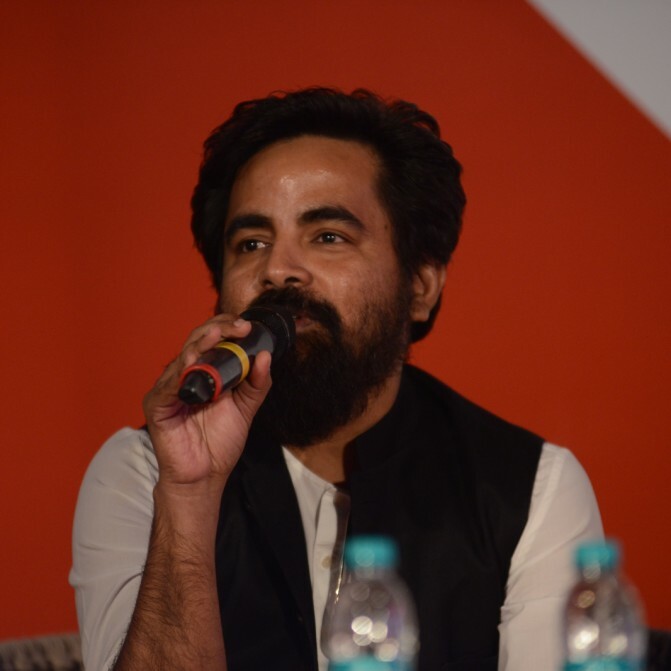 Renowned Couturier Sabyasachi Mukherjee took us to back to his enchanting childhood in Calcutta, with accounts about his ‘Perceptions of Colour’. 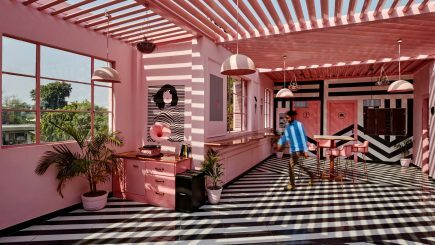 From hand-rown boats to an unpainted school to peeling paint on his own home, Sabya’s down-to-earth accounts point to his love for faded colours, or “half colours”. 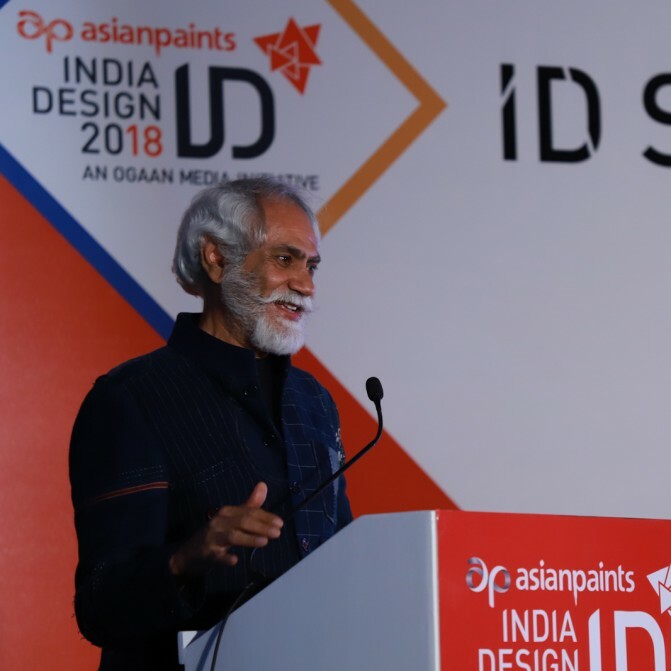 However, he firmly believes that India is a land of colour and that is what he tries to represent in his work. The Creative Director of Preciosa Lighting, Michael Vasku took us back to 1724 with his presentation on the Cultivation of Chandeliers. From candle-lit wall hanging for royalty to Swarovski laced chandeliers in homes today, Michael’s glittery session left the Symposium audience bedazzled. TC De Sousa from Ferry Wharf Communications moderated the discussion, and he talked about how the craft of creating architecture or designing something could take weeks, months or even years. 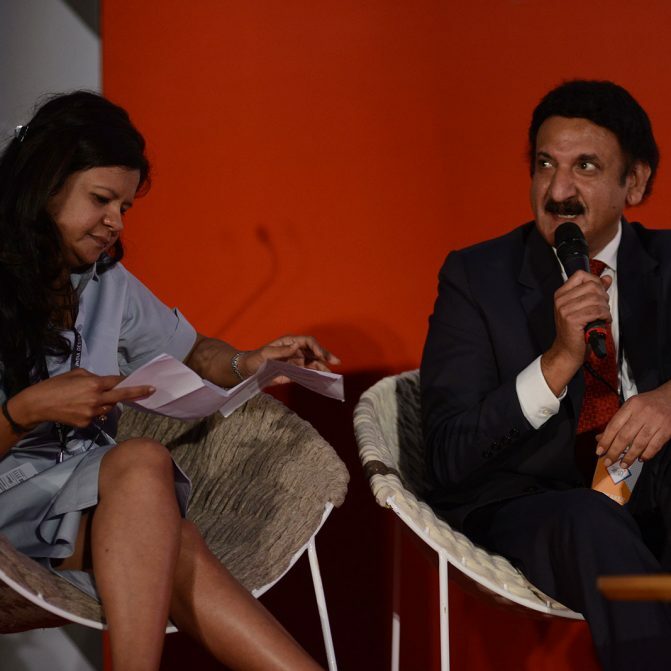 He set the tone for the session with, “So if the passage of time to create something is as important as the result, you better have a sense of humour”. 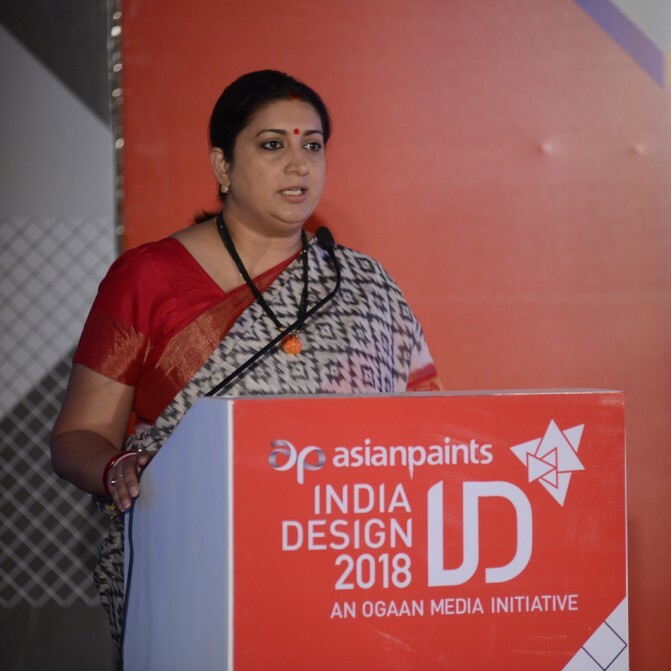 It was followed by displays of punny objects designed by Mukul Goyal, funky paintings by Jenny Bhatt and an engaging talk by Suman Kanodia of Scarlet Splendour. 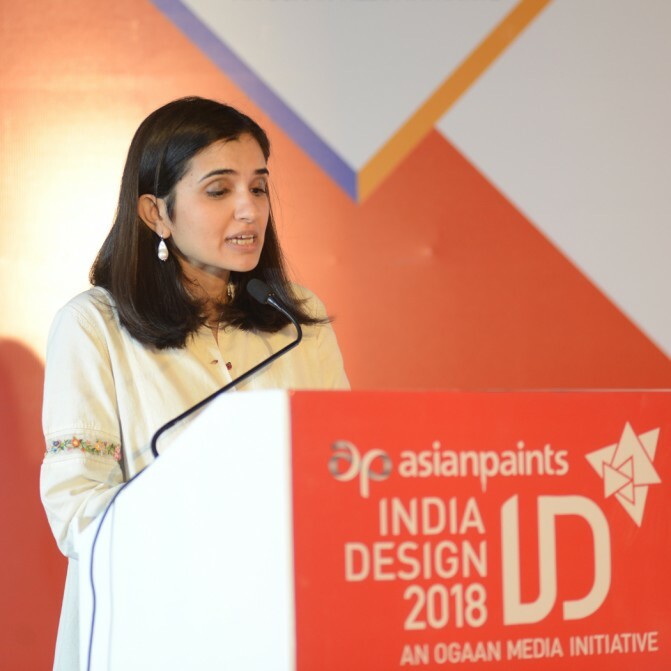 A session on blurring boundaries between art and design couldn’t have been encapsulated better than Marcel Duchamp’s porcelain urinal “fountain”, and was both Salil Sadanand’s and Roshni Vadehra’s first talking point. 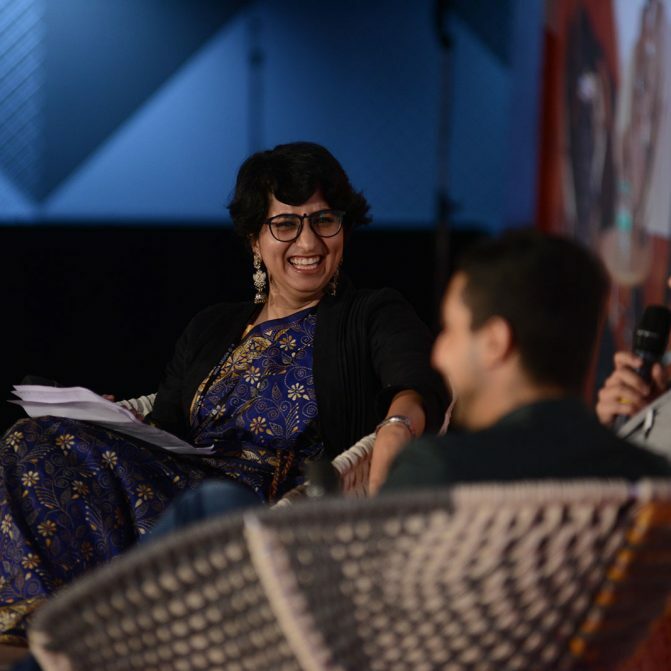 Gunjan Gupta, the moderator, was also in conversation with Manish Gulati of MOFA and Tarun Thakral, one of the founding members of the Heritage Transport Museum. 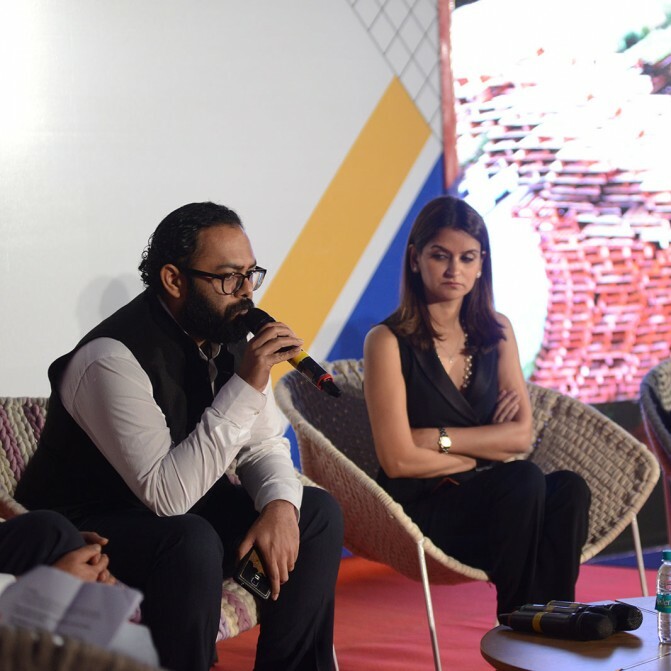 During a discussion with EDIDA Designer of the Year 2017 Rooshad Shroff, moderated by Sneha Ullal Goel, the industrial designer from Godrej and Boyce was asked about when to break the rules. “Salmon swims upstream, but you need to create new rules, like that one salmon that dares to be a rebel salmon and swim downstream”. The icon from Fuksas Architects explained his design philosophy very simply – in pictures. From the two-sided tubular Music Theatre and Exhibition Hall in Georgia to the melting metal domes of the Shenzhen Bao’an International Airport, all of his projects could be considered as some of the world’s most technically daring structures that showcased the firm’s signature latticed technique.